Microsoft is making it easier for its customers and to leverage its artificial intelligence capabilities. 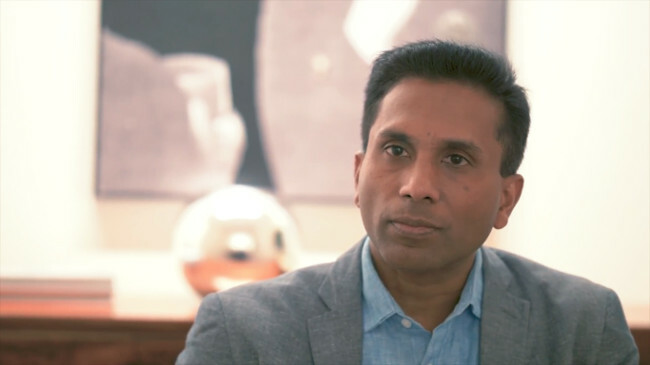 At Microsoft Connect earlier this month, we sat down with Joseph Sirosh, corporate vice president of Microsoft’s Cloud AI Platform to learn more about Microsoft’s AI technologies, including machine learning, cognitive services, the bot framework and how the company is bringing all these capabilities for developers to build applications in cloud with AI. In this episode of The New Stack Makers podcast, Sirosh explained what machine learning, artificial intelligence and deep learning means outside the dystopian description we see in science fiction movies. One interesting development happening in the industry is that processing and data are moving towards edge, to better serve Internet of Things devices. During the event, Sirosh demonstrated a technology where it deployed skin cancer models on mobile devices where skin can be scanned using mobile devices. “What you will see is cloud being used for vast amounts of data being aggregated then using a huge amount of GPUs and compute on cloud to learn and then the learned models are then being put in the production on phone, IoT Edge devices with low latency,” said Sirosh. He also gave several real life use cases of AI helping to solve real world problems. He gave an example of an AI app that helps blind people recognize their environment, recognize objects and in a way world around them through the eyes of AI. He also talked about an app that helps autistic children communicate. There is enormous opportunity for AI to help in the field of healthcare. One of Microsoft’s partners can predict hypertension up to two years in advance with electronic medical record data. We also talked about whether AI will turn against humanity and destroy us all. Watch the entire interview to hear Sirosh’s take on AI gone rogue. 2:36: The difference between machine learning and deep learning. 3:33: The role of databases today. 7:30: Microsoft’s involvement with different databases for machine learning and AI. 13:54: Can AI and machine learning help companies with cloud stacks automate their processes? 16:18: Quantum computing and if humans can truly control AI. 18:23: The advantages of using machine learning.